Blue Mammoth is without a doubt a most interestingly exotic plant. This auto-flowering little monster was originally created from a crossing of a Siberian Ruderalis plant into a Blue Cheese X Skunk #1. 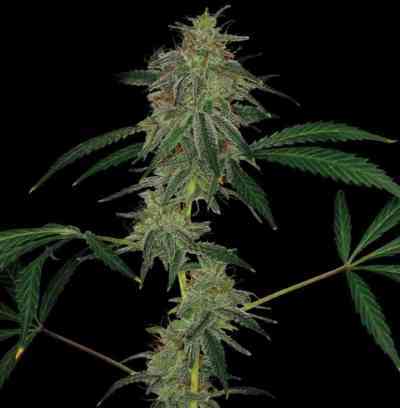 Beautiful blue hews come through its canopy of dense green colas of sweet indica marijuana. It is easy to grow, and loves the sun. - And it looks great in the garden.